Coconut PanaCotta, why is it always 3rd time’s the luck?!? 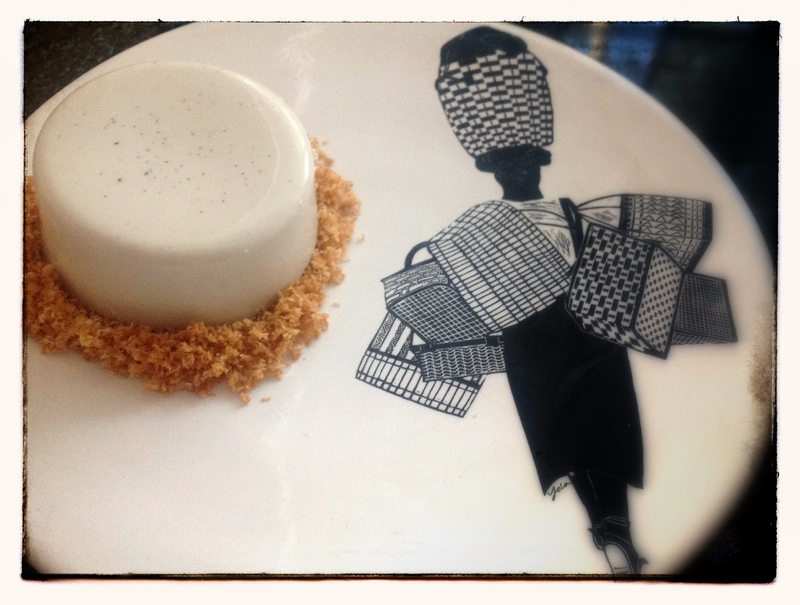 Oh, Coconut PanaCotta, 3rd time is the charm with you! Perseverance is the name of cracking LCHF recipes. I was determined, since I’ve been developing a sweet-tooth, 60 days into LCHF, and I needed to satisfy it. However it took 3 attempts to get this recipe right. Luckily for you, you don’t need to go through it! The recipe credit goes to the ‘Coconut Panna Cotta’ recipe found in the latest BBC GoodFood Magazine April 2014 page 114. That being said, they have however provided the incorrect quantities for agar-agar! Since I never used agar-agar before, although I had been wanting to do so for ages, I followed their recipe. Alas, everything had to be thrown away, since it was beyond redemption…it was a brick, and tasted like a brick. Also they use stevia, which I find overpoweringly sweet and also leaves a bit of an aftertaste for me, so this I changed as well. So using the wonderful power of the internet, looked at the rule of thumb for using agar-agar, which is 0,9g for every 100ml of liquid, I tried again, using 3,6g for the recipe. Edible, but still not brilliant, since I forgot that 400ml of coconut milk is not necessarily 400ml of pure liquid, not with the coconut fat in it. So third time lucky and with 1,5g agar-agar, cracked it. Now it’s delish!!! Coconut PannaCotta, you charmer you! Dissolve the agar-agar in 2 TBSP of water. Leave to the side. In a saucepan, bring to a simmer, the coconut milk, vanilla seeds, extract & sweetener. Add the agar-agar, and stir for another 3 minutes (this is to activate the agar-agar in the liquid). Pour into the ramekins. It should make around 5-6 ramekins, depending on how big yours are! Then leave in the fridge for at least an hour to set. To add further temptation, dry-fry (i.e. nothing in your pan) some desiccated coconut or coconut shards until they are nicely brown. Add to the top or the bottom of the dessert. This dessert pops out easily, once you’ve taken a knife around the circumference, so serve it in or out of the ramekin. Voila, a tasty sweet dish, with no guilt! This entry was posted in LCHF recipes and tagged agar-agar, Atkins, atkins dessert, banting, coconut milk, coconut pannacotta, desiccated coconut, LCHF, lchf dessert, low carb high fat pannacotta, stevia, xylitol by angelb38. Bookmark the permalink.